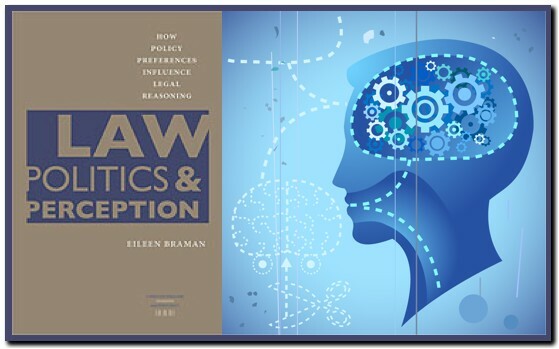 In her recent book, Law, Politics, and Perception: How Policy Preferences Influence Legal Reasoning (2009), Eileen Braman examines how policy preferences and legal authority interact to influence judicial decision making. Here’s the book’s abstract. Are judges’ decisions more likely to be based on personal inclinations or legal authority? The answer, Eileen Braman argues, is both. Law, Politics, and Perception brings cognitive psychology to bear on the question of the relative importance of norms of legal reasoning versus decision markers’ policy preferences in legal decision-making. While Braman acknowledges that decision makers’ attitudes—or, more precisely, their preference for policy outcomes—can play a significant role in judicial decisions, she also believes that decision-makers’ belief that they must abide by accepted rules of legal analysis significantly limits the role of preferences in their judgments. To reconcile these competing factors, Braman posits that judges engage in “motivated reasoning,” a biased process in which decision-makers are unconsciously predisposed to find legal authority that is consistent with their own preferences more convincing than those that go against them. But Braman also provides evidence that the scope of motivated reasoning is limited. Objective case facts and accepted norms of legal reasoning can often inhibit decision makers’ ability to reach conclusions consistent with their preferences. The Bias of the Bar? Is the American Bar Association biased against conservatives? [A] series of studies have found indications that liberal nominees do better in the [A.B.A. evaluation of judicial nominees] . . . than conservative ones. The latest, to be presented next month at the Midwest Political Science Association, found evidence consistent with ideological bias. The bar association says it does not consider ideology in its ratings, basing them only on professional competence, integrity and judicial temperament. It is the third factor, one the association defines to include compassion, open-mindedness and commitment to equal justice under the law, that critics say leaves room for subjective judgments that may tend to favor liberals. Given research on the powerful and unappreciated influence of ideology on human decision making, this critique seems quite plausible, but it is worth considering whether other mechanisms may also be at work. 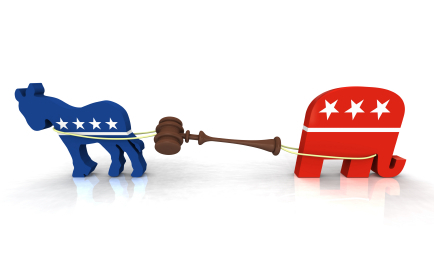 It may not just be that measurements of “judicial temperament” “leave room for subjective judgments that may tend to favor liberals”; it may also be that the elements that define this factor—“compassion, open-mindedness and commitment to equal justice”—are ones that, objectively, liberals tend to score higher on than conservatives. In their continuing work uncovering the cognitive and motivational differences between conservatives and liberals, Situationist contributor John Jost and his colleagues have shown that conservatives tend to exhibit, among other things, greater discomfort with ambiguity, greater need for cognitive closure, and greater tolerance for inequality. If “judicial temperament” were measured by “commitment to avoiding uncertainty; desire for closure, order, and structure; and commitment to affirming the status quo”—traits that we, as a society, might very well decide that we would like our members of the judiciary to exhibit—the research by Jost and his colleagues suggests that conservative nominees would receive considerably higher scores than liberals. All of this implies that the reason that liberals are receiving higher ratings may have more to do with liberal and conservative proclivities and the choice of rating factors than with the biased application of neutral criteria. Perhaps the discussion concerning A.B.A. ratings would be more productive if it shifted away from accusing the members of the Standing Committee on the Federal Judiciary of being “political” and, instead, focused on debating whether “compassion, open-mindedness and commitment to equal justice under the law” are the traits that we ought to seek in choosing our judges. For a sample of related Situationist posts, see “Judicial Ideology – Abstract,””Naive Cynicism – Abstract,” “The Situation of Judges,” “The Situation of Judicial Methods – Abstract,” “The Political Situation of Judicial Activism,” “Ideology is Back!,” “The Situation of Judges,” “Blinking on the Bench,” “The Situation of Judging – Part I,” “The Situation of Judging – Part II,” and “Justice Thomas and the Conservative Hypocrisy.